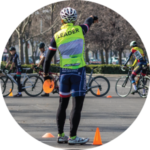 Interested in holding a bike skills clinic for your team or club? Want focused attention for your group as you prepare for a focus event? We have extensive experience working with groups of all ages and skill levels toward a variety of goals! We’ll work closely with your organization on venue, agenda, registration, insurance, upgrade points, and any other aspects of your clinic to make sure it is personalized and focusing on what YOU feel you need to improve upon to achieve success. 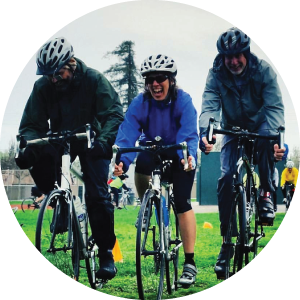 “I had the pleasure of coordinating a cycling skills clinic with John. He was the ultimate professional from the beginning. The price structure was clearly indicated and he also told me what he needed as far as the location in order to have an effective place for the drills. The clinic started with some classroom discussion followed by cycling skill work and then putting those skills to work on the road. Everyone in the clinic indicated they had a great time and learned something new. 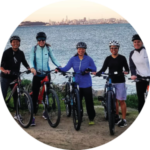 I would highly recommend him as a coach or cycling instructor, and would use his services again if the need arises.” – Debbie S.